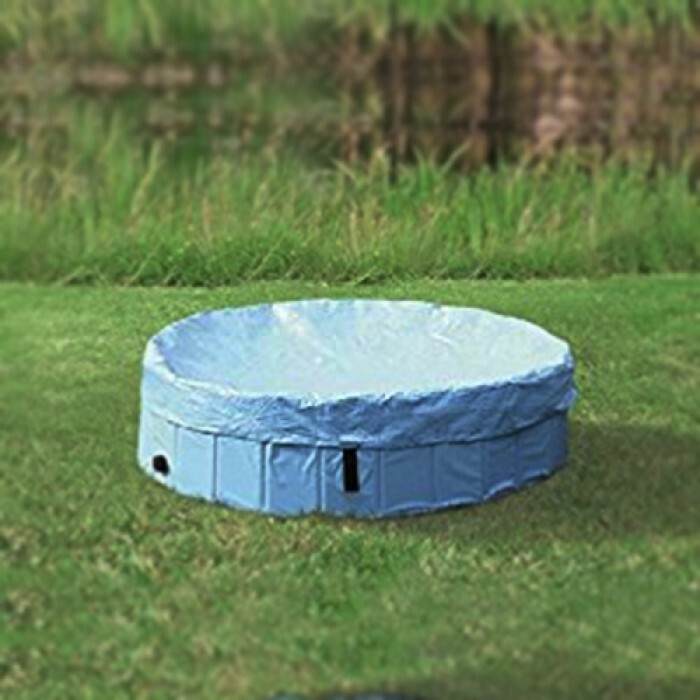 Product Details -Material - Scratch-resistant plastic material, Use-for cooling down on hot days, Non-slip bottom inside the pool, Colors-Light Blue, Diameter-160 cm, Suitable -Meduim and LargeBreeds Dogs. Product Description - The cover protects the pool from falling leaves and dirt, so you can easily leave the pool out in the garden for more fun and games the next day. Made of plastic material and simple secure fastening with velcro fasteners. 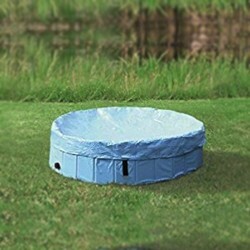 The pool handy cover which can be anchored to the ground with the included pegs. Diameter - 160 cm. Available in light blue colour.